Being part of a CSA share is a wonderful way to try new vegetables and fruits that you may not normally pick up in your regular grocery store. I love so many things about being part of a CSA it’s hard to nail done one reason I continue to pick up a few bags every week. At first I loved it because it was locally grown, organic produce. But then over time, it was so nice to be able to see what I was going to get in my bag prior to that week, make a few changes and additions, and then pick up my bag at the farmers market. My kids love the farmers market – I’d like to think it’s because of the huge grassy park and beautiful lake that is right behind the farm house barn… but in reality I know it’s because there are two local vendors that sell homemade cookies inside. The best cookies you will probably ever have in your life. I swear, they are phenomenal. Supporting local agriculture is a wonderful feeling – after being part of a CSA, you may find it next to impossible to buy produce anywhere else. The grocery store *may* be a viable option for some, but you quickly realize that the produce isn’t anywhere near as fresh. 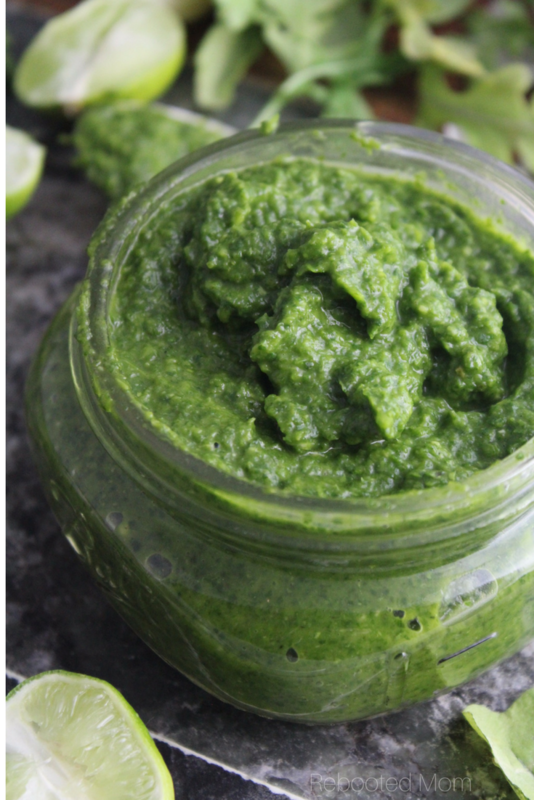 Arugula is one of my favorite things to pick up in my CSA bag – the flavor is much more pronounced than lettuce and other greens – but it works wonderfully in pesto or arugula spread. 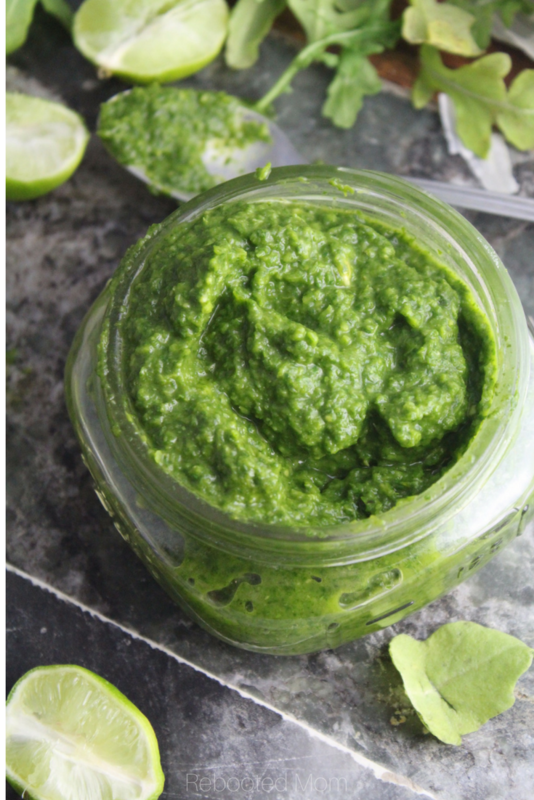 While pesto is incredibly easy to make, this spread is a nice change from that and gives you the opportunity to have something to spread on sandwiches, stir into pasta or stir into potatoes. Bonus? It takes like less than 5 minutes to make. The hardest part might be pulling out the food processor (or blender) — in the end, you’ll have a delicious spread that you’ll want to eat by the spoonful. Avocado and cilantro balance out this peppery arugula making an excellent spread that's wonderful on sandwiches or stirred into pasta sauce! Add all ingredients in food processor or blender and pulse until combined. Add 1 Tbsp additional water, only as needed. Refrigerate in a tightly covered container for up to one week. Use as a spread on sandwiches, stir into pasta or even roasted potatoes. 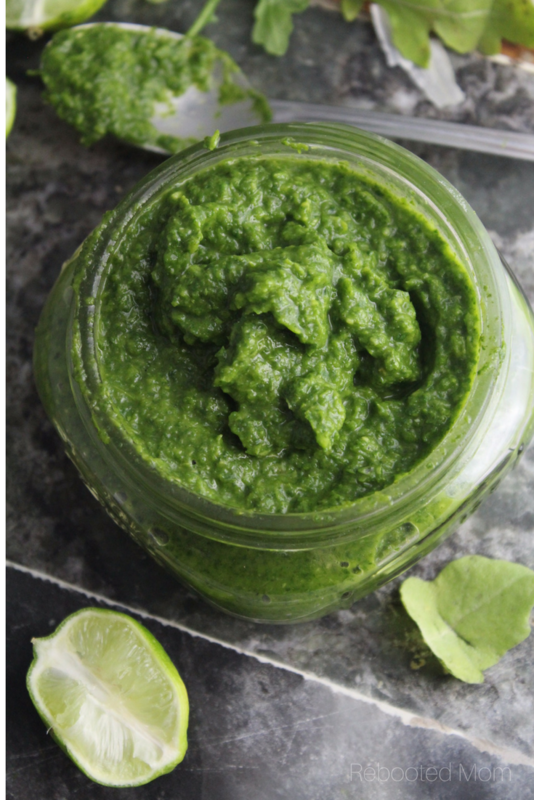 Share the post "Creamy Arugula Spread"